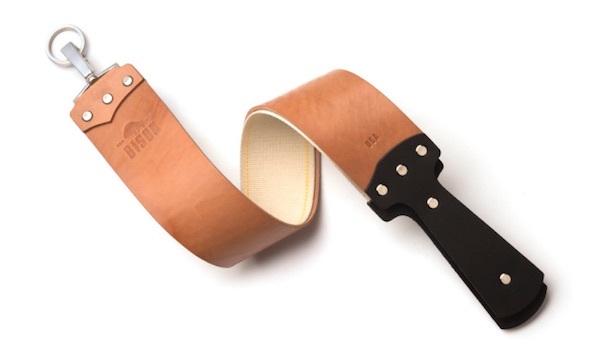 Horse leather is naturally quite strong, which is good news if you’re serious about straight razor shaving, because this horsehide razor strop ($125) can handle a lot of action. Also, they get their leather from Horween, which is good news if you care about leather. The strop also features brass Chicago screws and a cotton-linen canvas strop for removing moisture from your razor post-shave.